I had the opportunity to speak at luncheon for scholarship recipients from the Deseret Management Corporation companies today. What a remarkable experience to reminisce considering I was one of these lucky recipients a mere two years ago. As you consider course work for college, applications for scholarships, jobs, graduate schools, etc. It’s easy to forget what we are really focused on. When it comes down to it, any time we put together an application what we are really doing is marketing ourselves and as our brand. You have yours and I have mine. 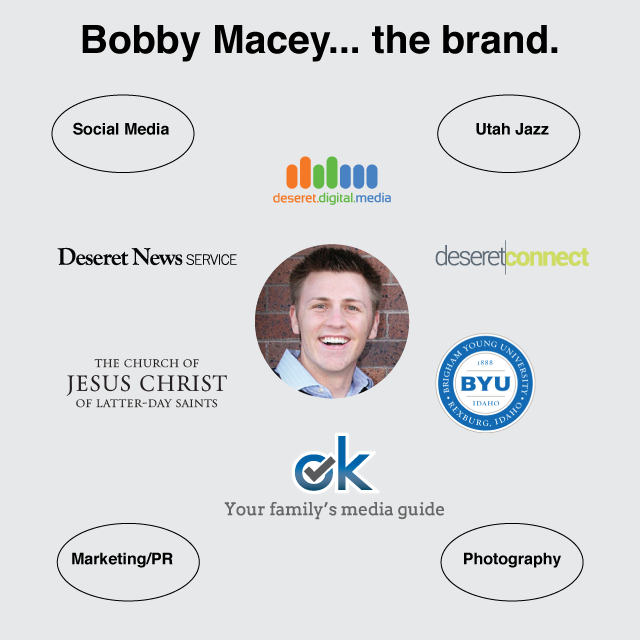 Developing a personal brand… It’s what led me to becoming a recipient of the Deseret Book scholarship in 2011 and now to being a full-time employee at Deseret Digital Media working with a variety of products. From scholarship to job offer. I received the Deseret Book Scholarship during my junior year at BYU – Idaho. For me, it wasn’t just about the money for tuition, although that was an excellent perk (smiles), but furthermore, it was an opportunity to organize my achievements and market myself a personal brand. That brand, Bobby Macey. What do I do for Deseret Digital Media (DDM)? Manage 10+ social media pages with approximately 200k followers. Create content for marketing/PR efforts involving several products including ok.com, Deseret Connect, Deseret News Service and more. Plan and execute ad campaigns and promotions for ok.com and other products. Write for the Deseretnews.com as a contributor (non-paid). Manage and cultivate relationships on business to business and business to consumer levels. Connect our products with the people using them. Now that I’ve told you what I do for DDM. Allow me to shed some light on the fundamental practices I’ve used to get where I am. Network to create real relationships. 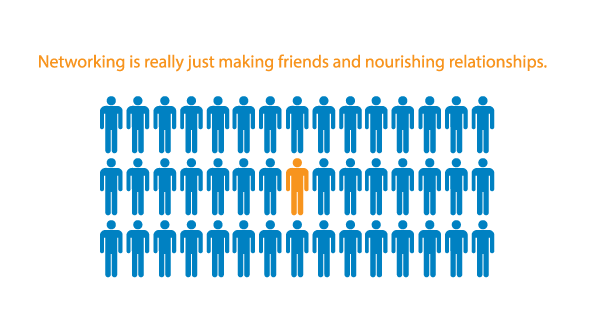 In order to establish yourself as a successful brand, you must make friends! Use LinkedIn, Facebook, Google+, Pinterest, Twitter, etc. to connect with people you meet and give them a reason to stay updated on your hobbies, talents, work life, etc. According to the Newhouse School of Public Communications at Syracuse University (A top five communication school), over 70% of jobs for their graduates in the field of communication and digital media today come from networking. That’s an incredible number coming from a top program. I suspect that number stays relatively consistent throughout the communication job market in the US. Always have your brand in mind and don’t be afraid to market it (yourself). Part of my brand is photography. I connect with people through photography by sharing the pictures I take with my iPhone on Instagram, Facebook, and other social networks. Slowly but surely as people see my pictures and like them, I’m adding validity to my personal brand. I also use DSLR camera when appropriate. The best camera is the one you have on you at the moment you need it. Take advantage of the technology around you and build your brand. My advice – for what it’s worth: The better personal brand you have, the better catch you are for an employer. Work hard, be honest, and land the job you want by developing the skill sets you need and integrating them into your personal brand. I designed this for my daughter to hang on the wall in her bedroom. My wife put a simple, but fun frame around it and it turned out really nice as a low cost decoration. It’s suitable in this format for 8 x 10 frames. Here is Cora’s Alphabet if you’d like to print it off.